Schneider became an outspoken advocate calling for the government to be more transparent about their knowledge of alien life. He also believed people in the government were trying to shut him up. When he died by suicide, his supporters called foul play. Political scientist Michael Barkun claimed that underground missile installations built during the Cold War made led to a numerous rumors, and ultimately led to the Dulce alien cave base legend. 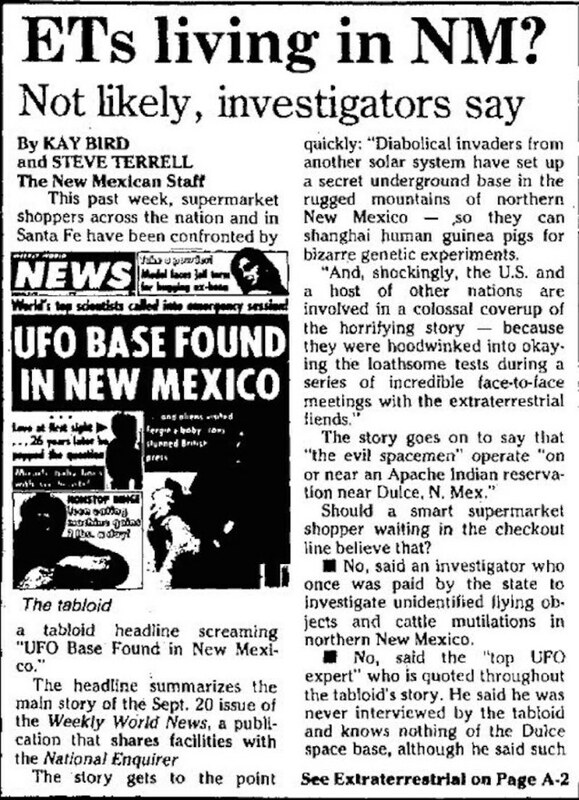 However, in 1999, the French government published a study concluding that the United States government has withheld evidence that point to the existence of UFOs. The paper was entitled, “UFOs and Defense: What Must We Be Prepared For?” The lesson here: The truth is out there… or is it? It is. Maybe. But, probably not. Or it could be.